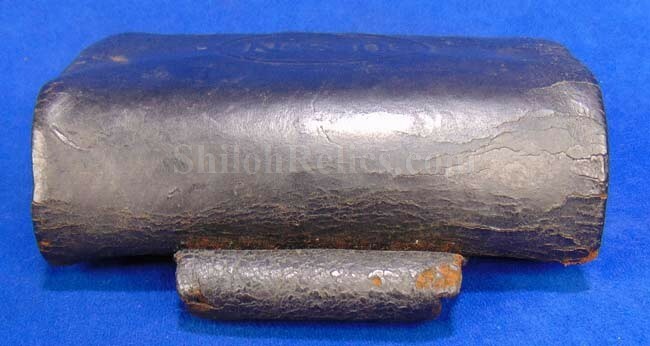 Here is a piece that you seldom see offered for sale. 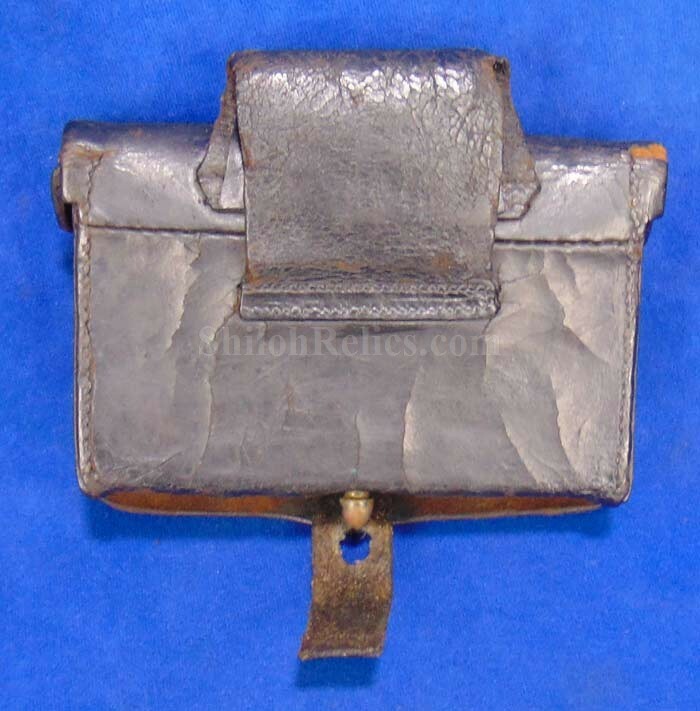 It is an original Civil War pistol size cartridge box for the U.S. Navy. 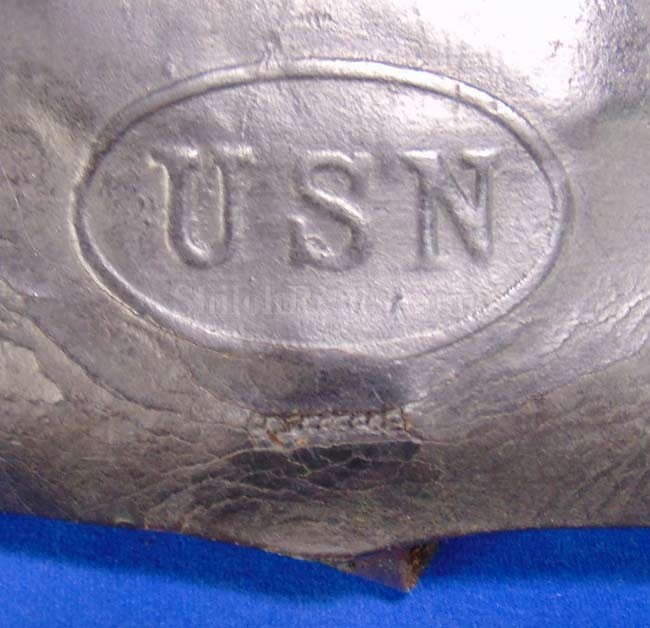 On the outer flap it has the embossed " USN" still clearly visible on the leather. 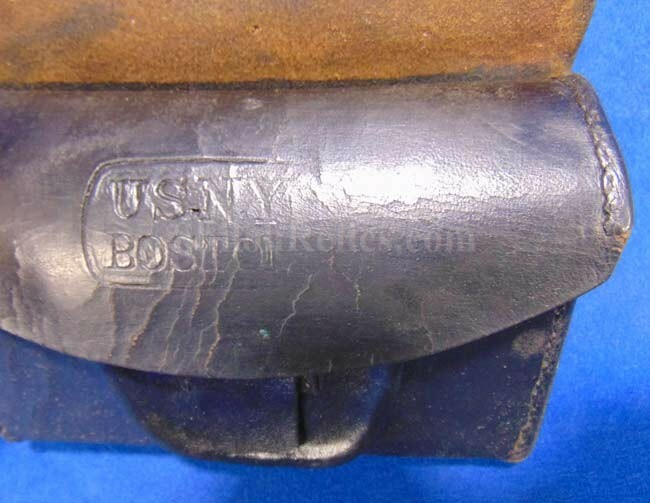 When you raise the outer flap you are greeted by the original inner flap that has the maker stamp from the US Navy Yard in Boston. 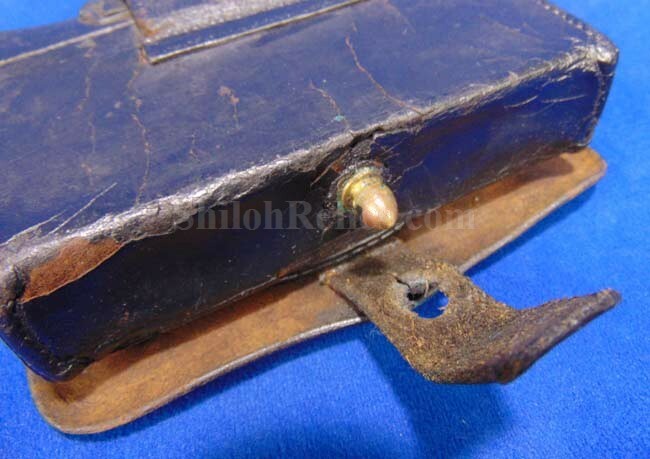 If you notice it still has the original implement compartment. 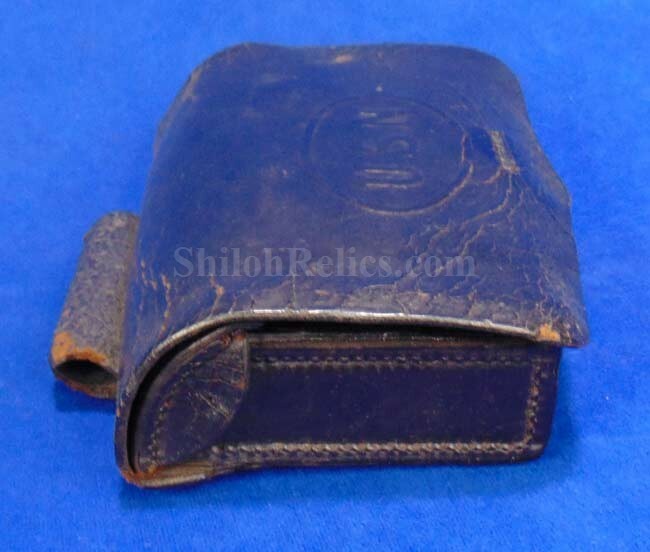 Almost all of these boxes were altered after the Civil War for other uses. 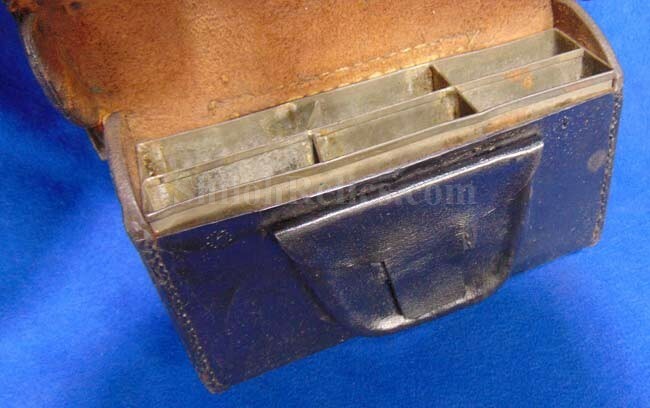 On the innermost compartment it has the original cartridge tin present. 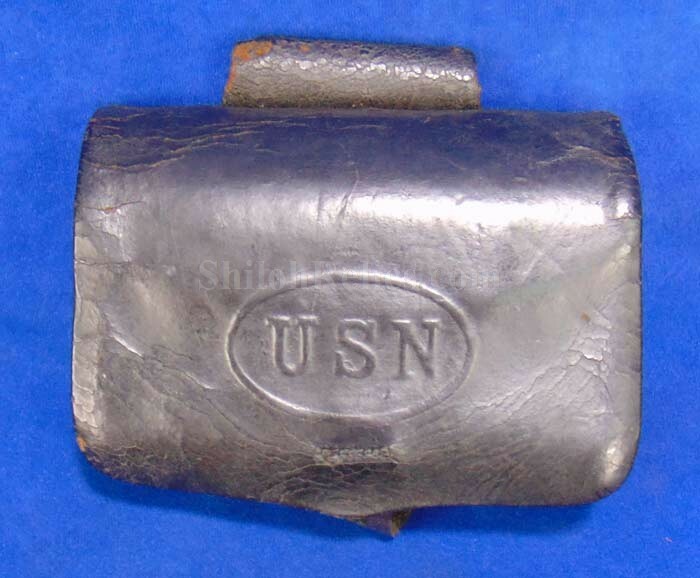 This tin was designed to hold cartridge packs for the .36 caliber revolvers that were so popular with the Navy. 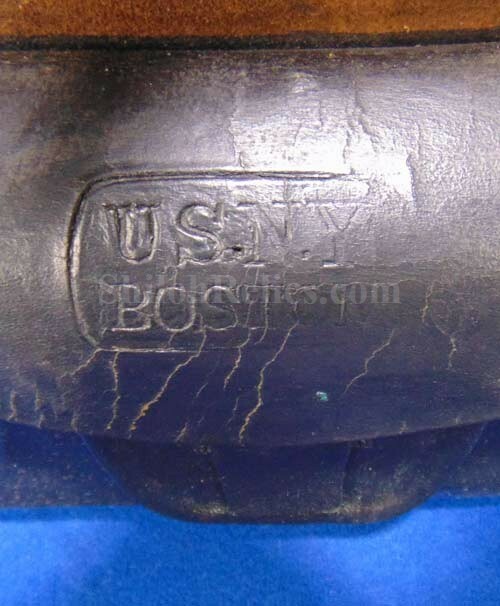 On the bottom of the box it has the original closure finial which is made of brass as well as the original closure tab. 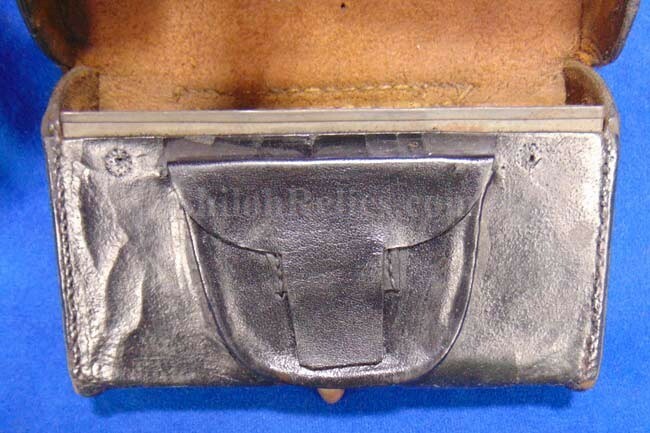 On the reverse of the box it has the original belt loop still intact. 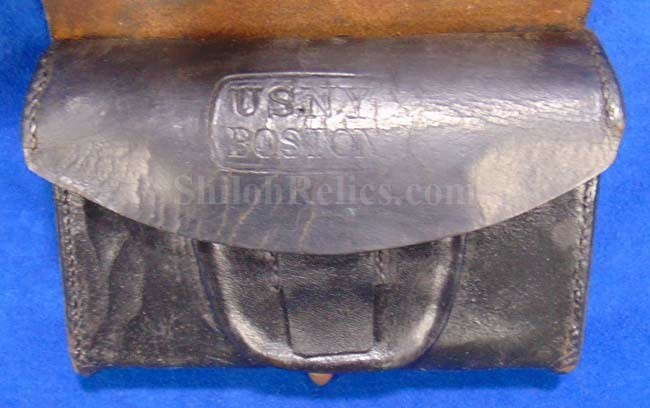 This is a tough to find original Civil War pistol cartridge box from the U.S. Navy that has a lot of character.